Should the Johnson Amendment Be Repealed? Should churches become SuperPacs? Should massive amounts of anonymous money be allowed to flow into the political system? Should people get a tax deduction for political donations? The answer is No! No! God Forbid, No! Yet, this is what Donald Trump wants to do. In fact, it is what he has already started to do. I’ll go into detail about that, but first let me discuss what tax exempt status and the 501(c)(3) designation) means and how the “Johnson Amendment” became law. What Is the 501(c)(3) Section of the Tax Code? Churches, like other nonprofit organizations, have a special tax status—they are 501(c)(3) organizations. They are called so because of the following specific provision in the tax code. The words in bold are referred to as the Johnson Amendment. (3) Corporations, and any community chest, fund, or foundation, organized and operated exclusively for religious [ . . . ] purposes [ . . . ] no part of the net earnings of which inures to the benefit of any private shareholder or individual, no substantial part of the activities of which is carrying on propaganda, or otherwise attempting, to influence legislation (except as otherwise provided in subsection (h) [relating to certain expenditures by charities to influence legislation]), and which does not participate in, or intervene in (including the publishing or distributing of statements), any political campaign on behalf of (or in opposition to) any candidate for public office. The Johnson Amendment became law in 1954. It was named for then-Senator Lyndon Johnson) (TX D) who introduced the first draft of the amendment. What Does Being Tax Exempt Mean? Nonprofit organizations don’t pay income tax because technically there are no profits to tax. They are exempt from other taxes such as property taxes and sales tax. 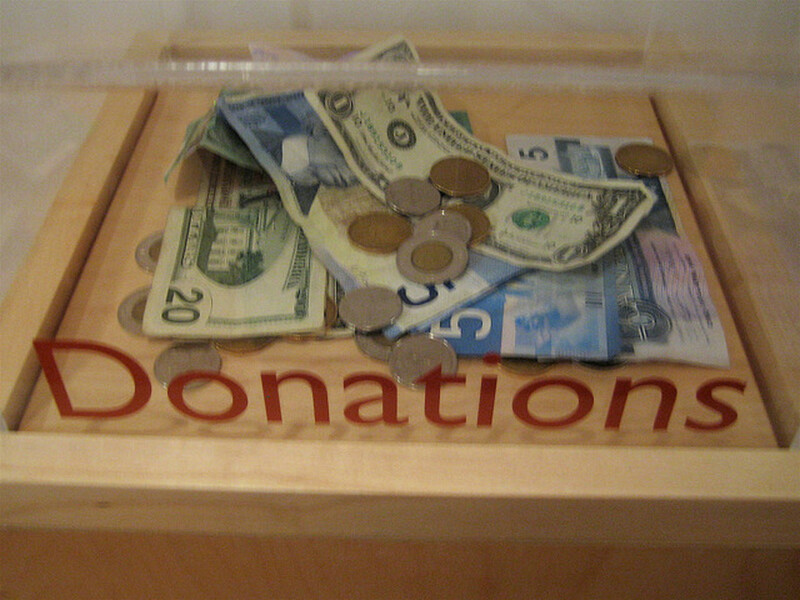 Additionally, donors may take a tax deduction for any donations they make to a non-profit. 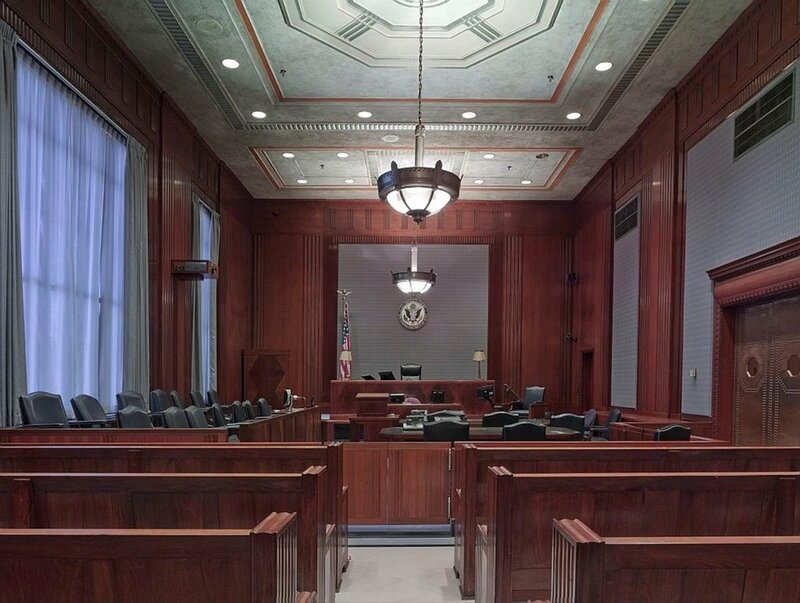 Essentially, the law says that tax exempt status is only given to nonprofit organizations devoted to serving the public in some way--charitable, educational, or religious purposes among others.. It also states that political aims may not be the primary focus of the organization. The word primary creates a big loophole. It means that some political activity—like advocating legislation-- is acceptable. How much political activity is permissible? The law is ambiguous on this point. The IRS must make the determination as to whether or not an organization qualifies for tax exempt status. Churches don’t usually set up affiliated political action committees, but they can and do openly lobby for legislation. They can also be involved in “non-partisan” political activities (officially non-partisan, but often obviously designed to benefit one political party over the other). The line is supposed to be drawn at an official endorsement from the church. How Is Donald Trump Trying to Abolish These Safeguards? 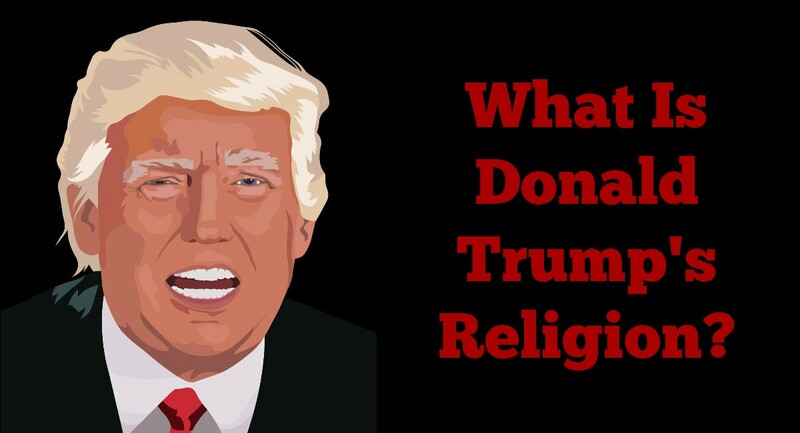 During his presidential campaign, Donald Trump openly courted the “religious right,” and they were some of his strongest supporters. The Pew Survey showed that 81% of white Evangelicals voted for Donald Trump (4). 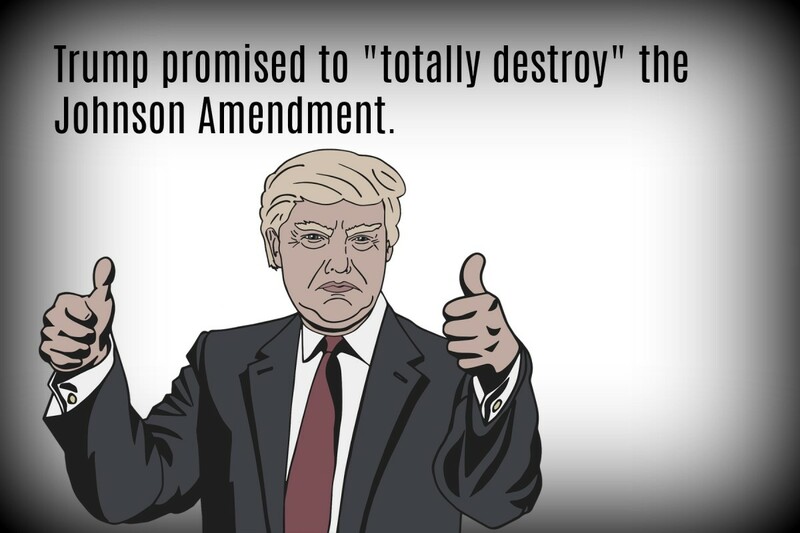 During the presidential campaign Donald Trump promised to abolish the Johnson amendment. 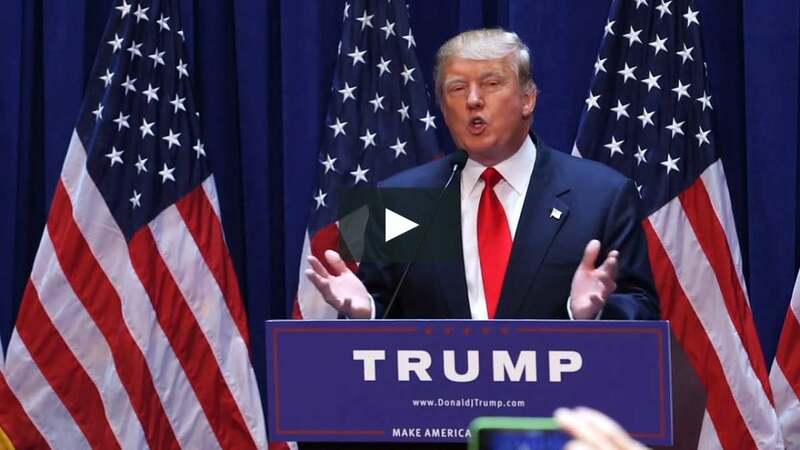 When he accepted the presidential nomination at the Republican National Convention he said, ““You have so much to contribute to our politics, yet our laws prevent you from speaking your minds from your own pulpits….I am going to work very hard to repeal that language and protect free speech for all Americans. 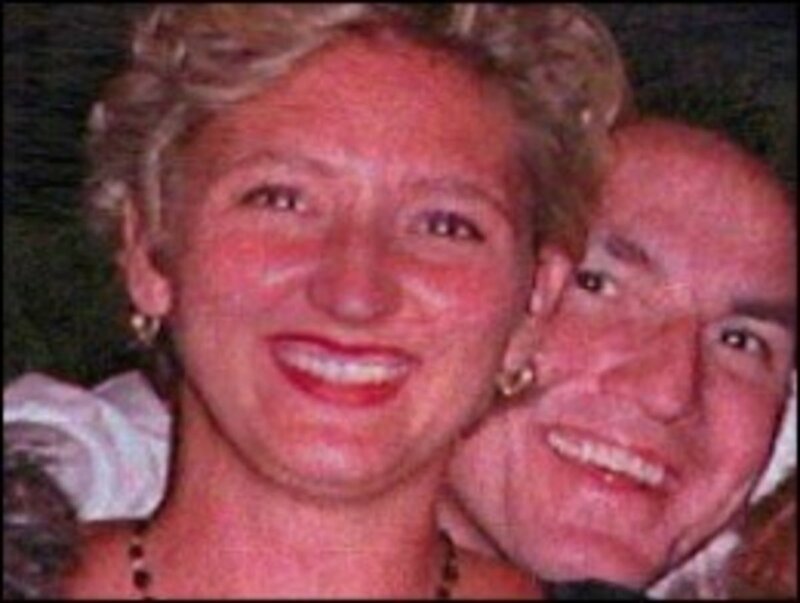 "(5) He also made this promise at some of his campaign rallies. Only Congress can change the law, so Donald Trump did the next best thing. He directed the IRS to ignore violations of the Johnson Amendment by churches and religious groups. On May 4, 2017, Trump made good on his promise with an executive order. The order instructed the IRS to exercise “maximum enforcement discretion” saying that the Johnson Amendment was a “burden” on religious groups. The Johnson Amendment has not been repealed; it just won’t be enforced. However, the “enforcement discretion" applies only to religious groups. Other nonprofit groups must still refrain from endorsing candidates. The executive order was mainly done for show. It does not change anything. It merely states that "churches should not be found guilty of implied endorsements where secular organizations would not be." Nonetheless, the executive order is dangerous because of its symbolism. It puts a chink in the wall of separation of church and state. Tax dollars should never be used for religious purposes. Have There Been Previous Attempts to Repeal the Johnson Amendment? 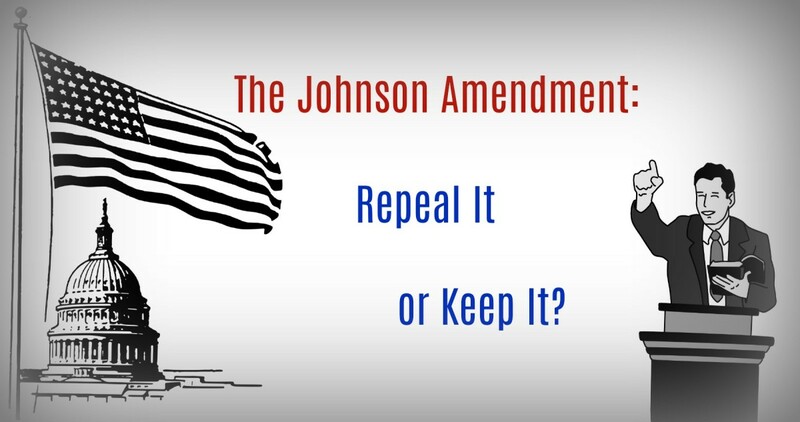 There have been a number of attempts to repeal this amendment in the past. The Alliance Defending Freedom has contended that the amendment violates the First Amendment right of free speech. The group is advancing the “Pulpit Freedom Movement,” which urges Protestant ministers to violate the statute in protest..
White House Press Secretary Sean Spicer has announced to the press that the President is committed to abolishing the Johnson Amendment" and to "allowing our representatives of faith to speak freely and without retribution." Republican lawmakers have introduced legislation that would allow all 501(c)(3) organizations to support political candidates, as long as any associated spending was minimal. What does “minimal” mean? Is it another giant loophole? Fortunately, as of this writing the legislation has not moved forward. Advocates of repeal of the amendment cite the first amendment right to free speech. They conveniently ignore the part of the first amendment that says “Congress shall make no law respecting the establishment of religion nor prohibiting the free exercise thereof.” It has long been interpreted to mean that no tax money can be used for religious purposes. This part of the First Amendment has been steadily eroded. Repeal of the Johnson Amendment could be a death blow to separation of church and state. How Does the Public Feel About the Johnson Amendment? Additionally, more than 4,500 leaders of religious and secular groups signed a letter opposing the weakening of the Johnson Amendment. 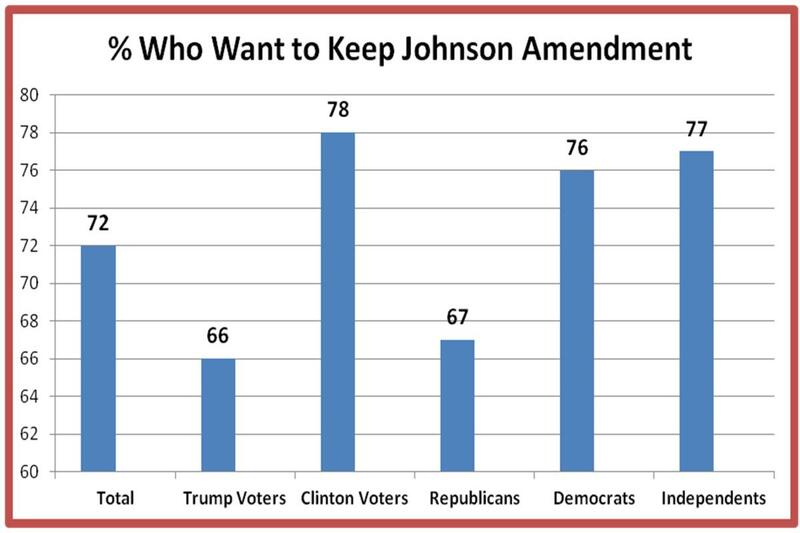 I think repeal of the Johnson Amendment is unpopular for several reasons. Many pastors do not want to bring politics into the church. It is divisive. People who disagree with the politics of the pastor might decide to leave the congregation. Secondly, government money could lead to government intrusion. Repeal of the Johnson Amendment could lead to less freedom for churches, instead of more. Do Churches Already Have Special Tax Advantages? The law requires that nonprofit groups adhere to certain rules. Religious organizations are exempt from some of these rules. They receive a tax-exempt status automatically just by declaring themselves to be a church; they do not need to apply for this exemption as other groups do. They do not need to file Form 990 providing information about receipts and spending; other nonprofits must file this form annually. They do not need to report the identities of significant donors as other non-profits do. Many churches flagrantly take advantage of tax rules. The pastor does not have to pay taxes on the parsonage—a home provided to him by the church. I don’t disagree that modest living accommodations can be provided tax free when the pastor lives in a parsonage attached to the church. But some pastors live in multi-million dollar mansions. Technically, this does not violate the law, but it clearly violates the spirit of the law. Is Repeal of the Johnson Amendment Good or Bad? The Johnson Amendment protects both religion and society. It is good for churches because people don’t want to hear about politics at church. Let church be a politics-free zone. People come to church for worship, not for politics. The Constitution states that there shall be no political test for office; we surely don’t want there to be a political test for church membership. Pastors have the freedom to speak on issues as they see fit, especially when they connect the issues to the teachings of the church. Candidates are free to address people in a church and they can even preach a sermon. However, it is only polite to keep their talks on these occasions free of overtly political messages. The Johnson Amendment is good for society because it respects freedom of religion and protects churches from being used as part of a political “money laundering” scheme for “dark money” (money given anonymously). We don’t want churches being taken over by political groups until they are more of a Super-Pac than a church. And we don't want to present another loophole for fraud. Finally, if a church wants to take an active role in politics and want to endorse candidates, the Johnson Amendment does not stop it from doing so. All it needs to do is renounce its tax exempt status. Smaktcat: I actually agree that the Johnson Amendment should be appealed along with the tax deductions and other tax benefits churches are given. BUT, those who advocate for repeal want to keep the tax deductions. I don't much care for subsidizing churches or any other places of worship anyway. With the rise of mega churches with pastors driving private jets instead of helping the communities, I don't see that they deserve tax exemptions. So repeal away, and if a religious group actually is doing good with their monatary donations, have them apply fo exempt status based on that. Stephen Smith: I agree with you--it should be enforced, but it is almost never enforced. And I doubt it ever will be. It needs to be enforced. It also needs to be re-vamped. Make them INSTANTLY loose their tax exempt status, and then also have to pay back-taxes, with interest from the moment they first decided to get political. 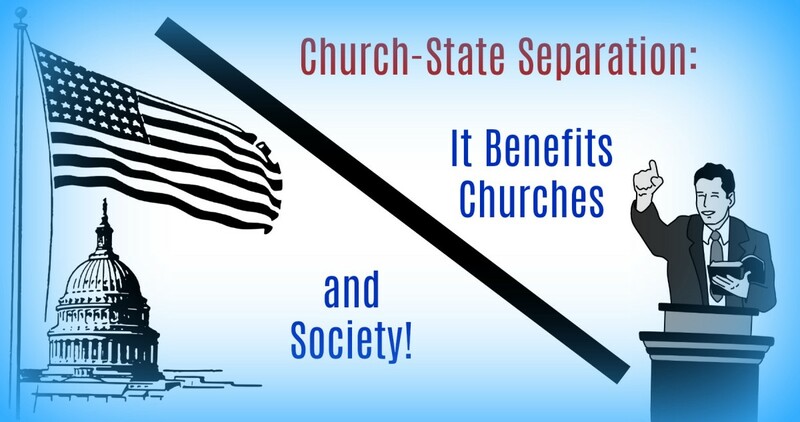 Church and State are separate and the moment a church begins to become political it is no longer a church, but a political organization. The Johnson Amendment needs to stay in place. If it is repealed a handful of churches will have more power than many States. Erode the Johnson Amendment and the dark ages will return. My statements are not an exaggeration, it's foresight. I think churches should have freedom of speech. But they can't be involved with politics if they get a tax-exemption. Removing the tax-exemption might be, as you say, a good thing. The tax exemption makes churches very profitable and that attracts charlatans. Perhaps removing it would help keep Christianity "real." Catherine, this is just so thought provoking. There is a pretty big push to get away from churches as buildings and as a place with a paid leader. Attendance is down. Home worshiping is up. Mega Churches are flourishing. Maybe getting rid of that status would be a good thing for Christians trying to bring it back to real. Your notion, maybe be the best thing for Christians. Ericdierker: Thank you for the compliments. Now on to substance. I know churches are doing political stuff already. And you are right--a pastor can endorse a candidate as an individual, but not as a pastor of a church. A difference without a distinction. The answer is to strengthen the Johnson Amendment or to repeal tax exemptions for everyone. And maybe subsidies too. Tax-exemption without even the minimal protections of the Johnson Amendment is asking for trouble. Here is where I lean toward repeal. 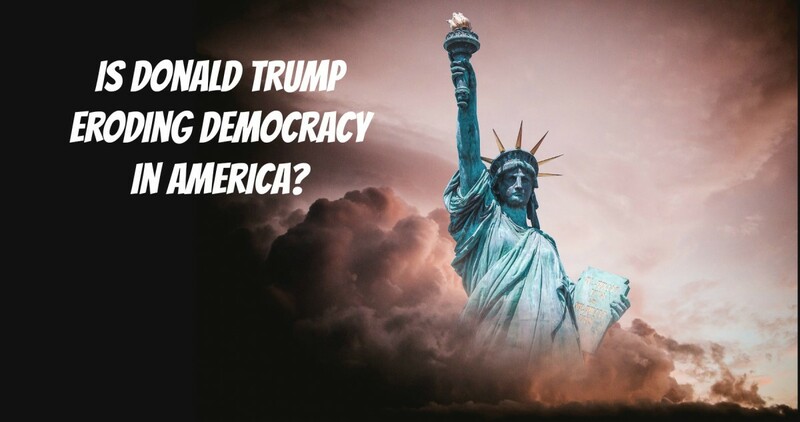 Oil company with tax breaks and huge profits, Monsanto, Arms Dealers, Foreign Governments can all spend literal 100's of millions on political deals and lobbying. But not churches. Just because they are tax exempt and the others get subsidies. I didn't look it up but I would bet in the US we spend at least twice as much on subsidies for industries that lobby for it than we lose in not taxes on churches. Like Wheat farming. On the other hand, church leaders endorse all the time "unofficially" simply by letting congregations know where they stand personally. My understanding of the law allows for Joel Osteen to personally engage in politics as an individual. Free speech and all that stuff. Excuse me for not saying it first that this is an outstanding article, well researched, well written and with just the right amount of passion. I was a pleasure to read. Duane Townsend: It looks like you are saying that the Johnson Amendment is not being enforced so it should be repealed. 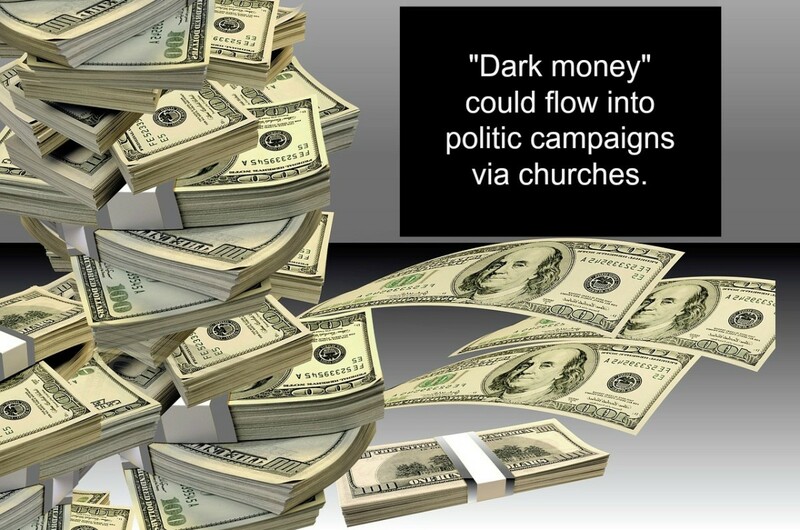 If it was repealed, the use of churches as political SuperPacs would become huge. The other nonprofits would want the same right. I say repeal the tax exempt status of churches and other nonprofits and let them do as they please in the political arena. If there is no tax exemption, there is no Johnson Amendment. However, I strongly object to repealing the Johnson Amendment without repealing the entire tax-exemption scheme. Catherine...churches tacitly endorse candidates all the time. Evangelical fundamentalists have GOP/conservative candidates visit their churches regularly. Same for many black churches that have the obligatory Democratic candidate in. The Johnson Amendment should be repealed. I am willing to modify that to only repeal it only for mega-churches that are in gaudy palaces appraised in the $10s of millions. Duane Townsend: The Johnson Amendment says that churches that get tax exemptions can not endorse political candidates. I think you meant to say that you want to keep the Johnson Amendment, but you want to go further and take away tax exemption for churches, especially the mega-rich churches. FlourishAnyway: I feel the same way about the tax exempt status of churches and our soon to be ex-president (I hope). Taxpayers are indirectly supporting organizations that we have no affinity to. The worst of it is--the richer they are, the more we support them. The richer they are the more taxes they get out of paying. Thanks for your comment. I don't believe politics belongs in the pulpit. It's just a way to turn people away from on church. Trump is a nightmare and I hope he is not President much longer. I don't believe religious organizations should even have tax exempt status. 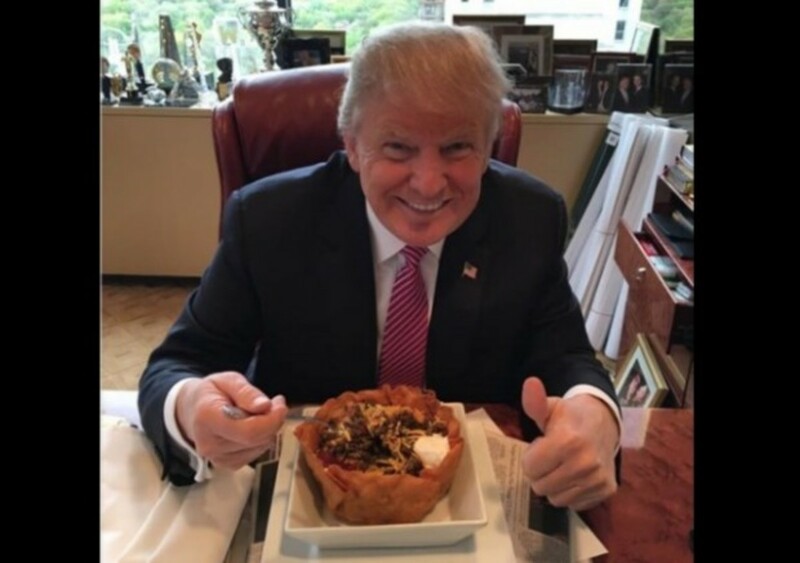 You have done a superb job educating people about what Trump intends to do. Let's just hope he's as successful with this as everything else so far. A well stated Hub Catherine. I admire the research and thought you put into this. For the record, I'm for repeal of The Johnson amendment. At least for mega-churches, that's where politicians spend their time at anyway.